Olivier was an interesting driver, born in Belgium in 1924 he fought the Germans as part of the Belgian Resistance movement, joined the Britsh Army and became a paratrooper. After the War he worked in the forestry industry in the Belgian Congo and met a rally driver, commencing his own rally career. He won the Tulip Rally with Pierre Stasse in an Alfa 1900 Ti in 1954 and soon came to the attention of Enzo Ferrari who signed him as both a Sports Car and occasional Grand Prix driver. 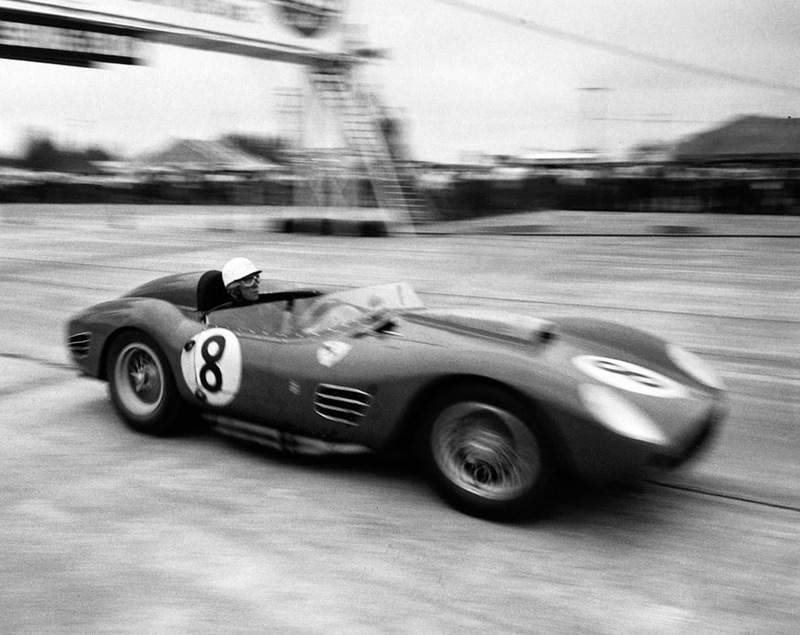 He competed in 15 Grands Prix, making his debut in a Ferrari 625 in Argentina 1956 finishing fifth. 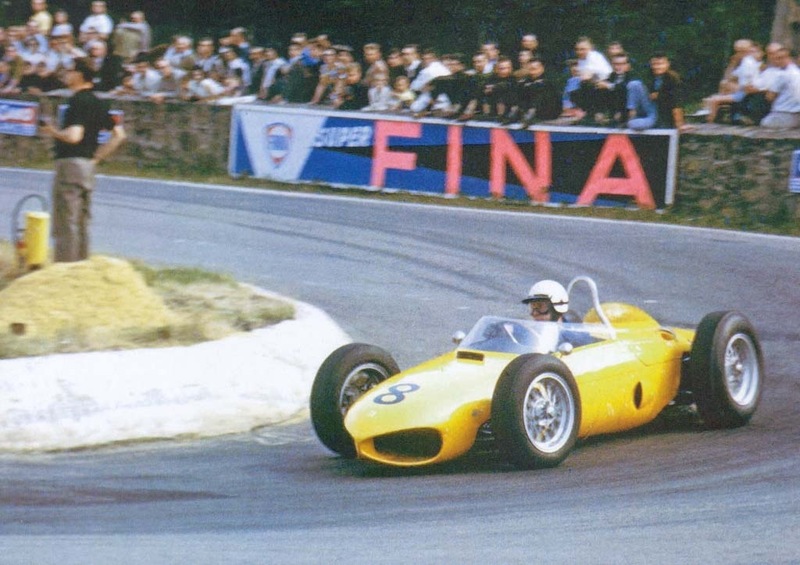 His best season was in 1960 at the wheel of a ‘Yeoman Credit’ Team Cooper Climax , his best results in the French and Belgian Grands Prix. 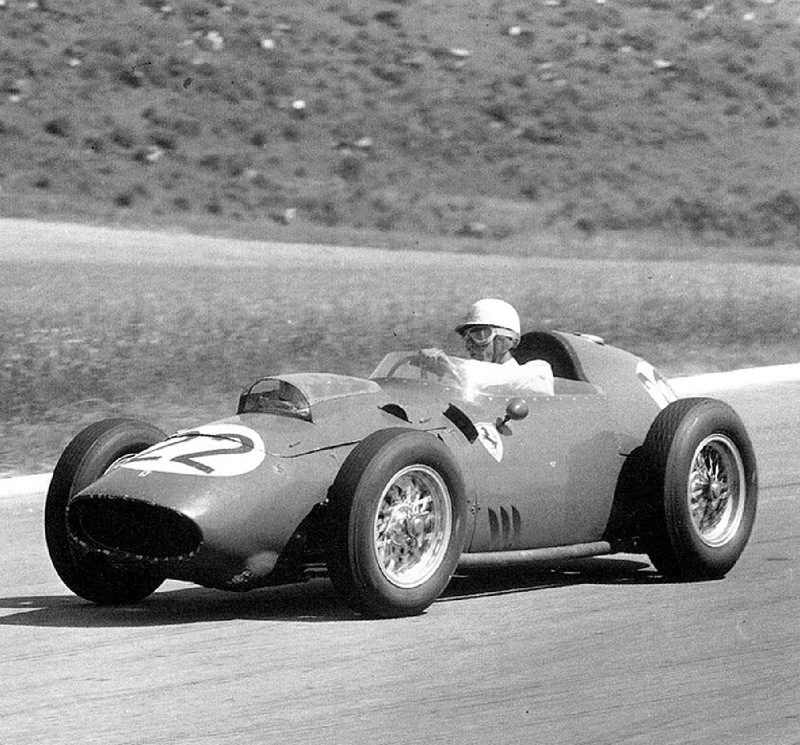 Whilst he was quick in a single-seater he was supreme in Sports Cars, Phil Hill the only driver who was his equal in the Ferrari Team during this period. 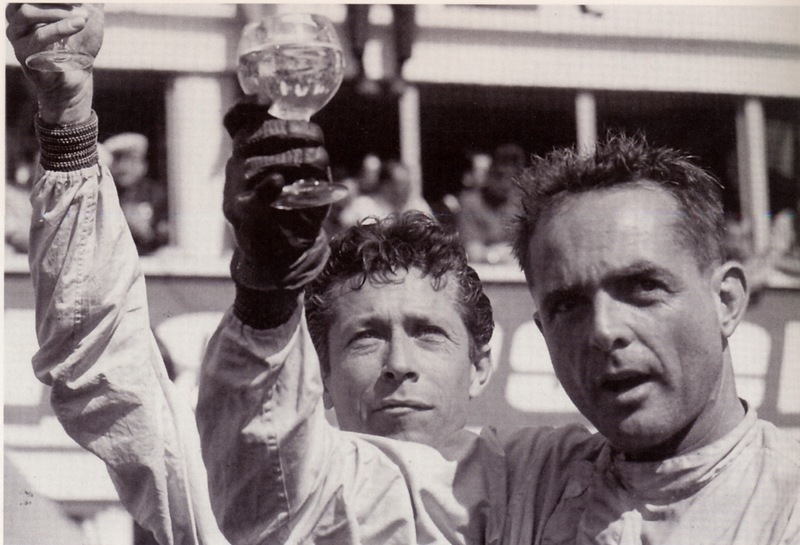 He first won Le Mans with Phil Hill in 1958, winning again with him in 1961 and 1962. 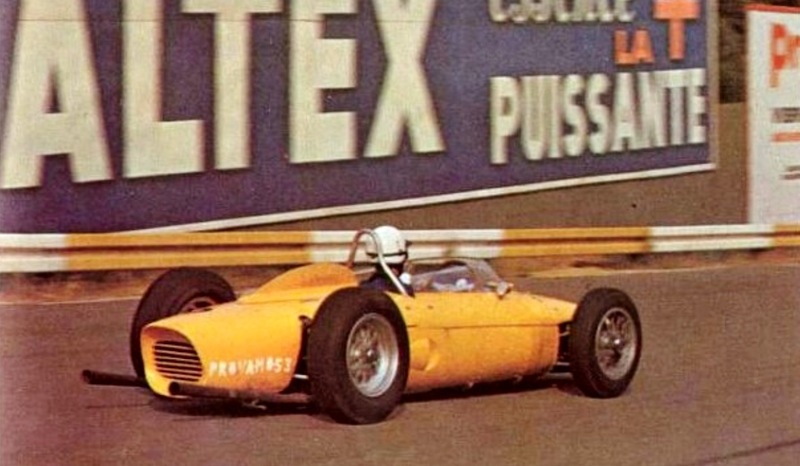 He also won in 1960 with Paul Frere, his fellow Belgian. He won the Tour of Sicily, the Tour de France, and the Reims 12 Hour twice. 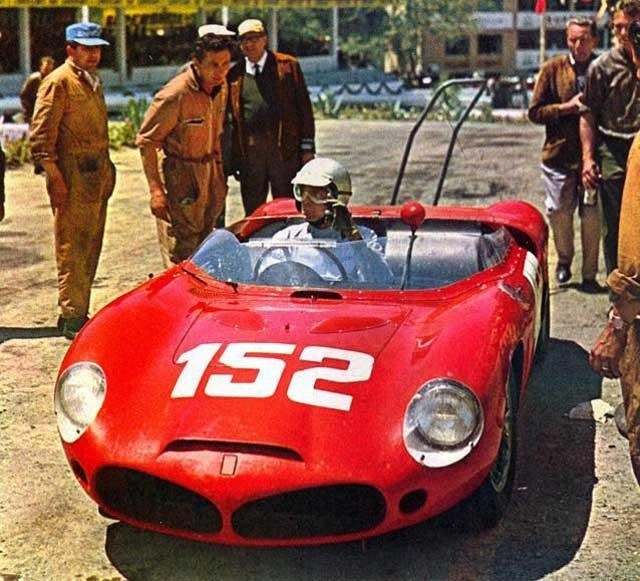 Victorious also in the Targa Florio and Sebring 12 Hours thrice, he won the Nurburgring 1000Km once. 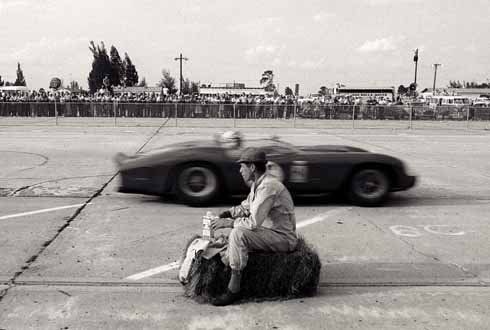 Gendebien was from a wealthy family, and under pressure to quit racing by his wife, retired after his fourth Le Mans win in 1962 aged 38. During retirement he ran a succession of businesses dying in the South of France in 1998. 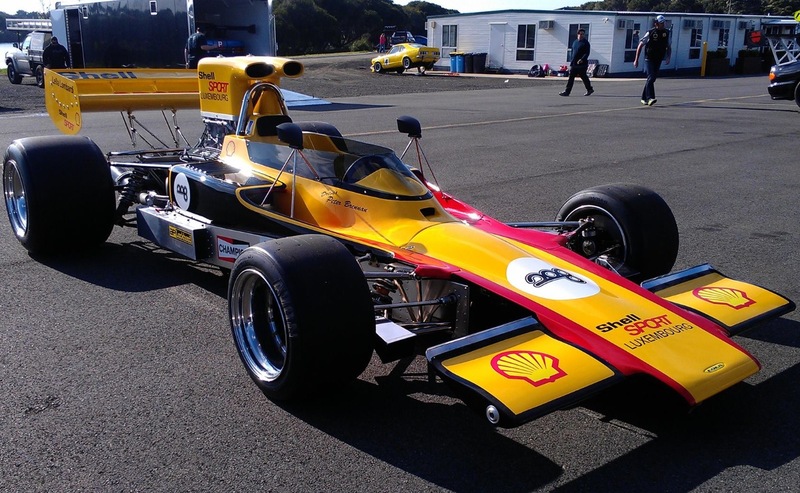 Over the last three episodes of ‘Racers Retreat’ we have covered Peters’ purchase of the car in the US, and its rapid restoration commencing in August 2013, the car finally made its debut at a Phillip Island test day a month ago. 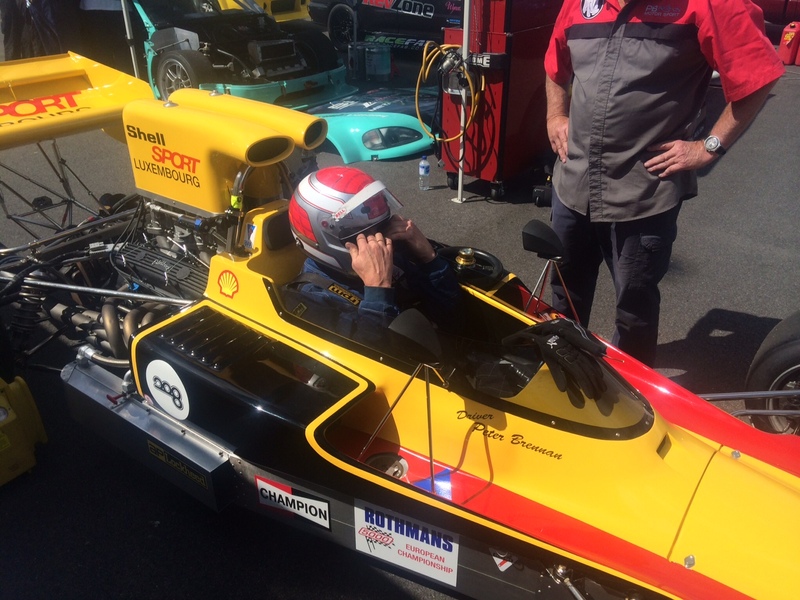 Australian readers should get to Sandown on 7-9 th November to see the car make its first race appearance in a huge field of F5000 cars in the Victorian Historic Racing Registers’ annual historic race meeting at the great Melbourne suburban venue. John Turner bought the car from Jackie Epstein at the end of 1974, after Lombardis’ year in it. 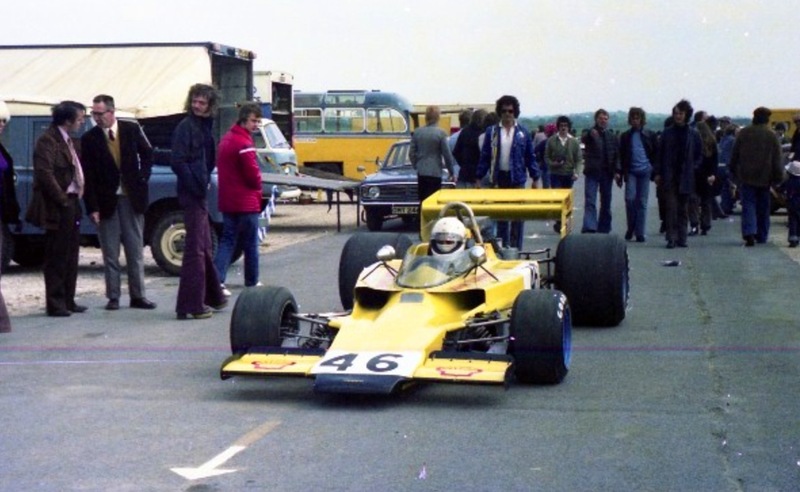 He raced the car in many rounds of the 1975 Shellsport UK Series, finishing fifth in that final race at Brands, Peter Gethins Team VDS Lola T400 Chev won the race and the sister T400 of Teddy Pilette won the championship. Turner sold the car to Jim Burnett for use as a central seat CanAm car, and as covered earlier in the series of articles the car was damaged in a factory fire until rescued by Peter many years later…here in his workshop just prior to the massive job of restoration. ‘I had plenty of advice of course, but the bloody magneto had cacked itself, they are like a flighty girlfriend , here one minute and gone the next! I didn’t take a lot of spares with me, but i did have a spare mag, so we fitted that and were ready to rock and roll’. ‘Off we go ot onto the circuit in session two, i went about eighty metres and it died, i slowed down and it cut out. I checked the fuel pressure and volumes, the engine is on Webers. After a lot of thought i took the air-boxes off the carbs and that did the trick. 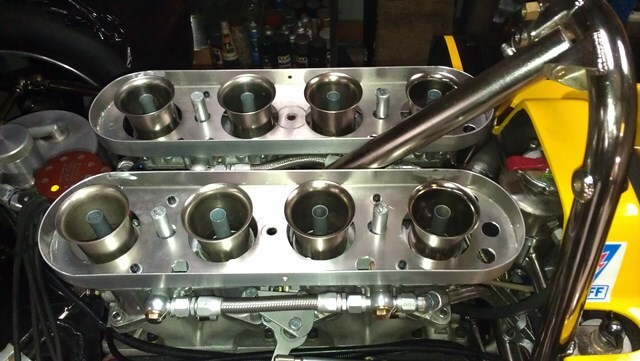 I hadn’t created vents in the airboxes to allow excessive pressure to escape, the set-up cannot be fully sealed, i got advice from Peter Molloy and others after the weekend’. ‘Before Sandown we need to just check the thing over, the airbox bleed is done, re-align it and so on. Its amazing how much fuel the thing uses 3.7 litres per lap. I can afford the car but not the fuel to put in it, i used 90 litres on the day at $3.75 per litre! Time to drill an oil-well at home in the eastern suburbs’. 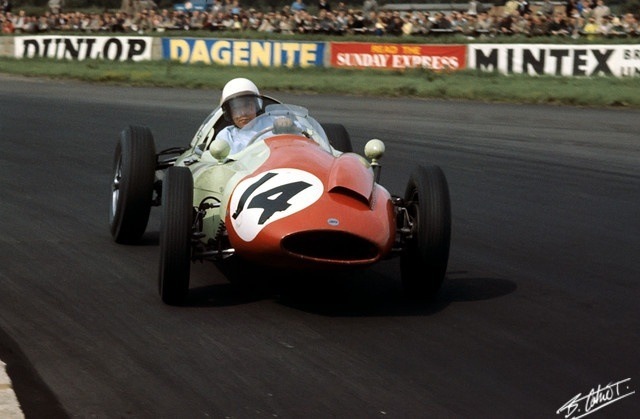 One of my mates contends that the title of ‘most versatile racer ever’ goes to John Surtees hands down, its hard to argue with the ‘World Championships on two wheels and four’ line of logic. 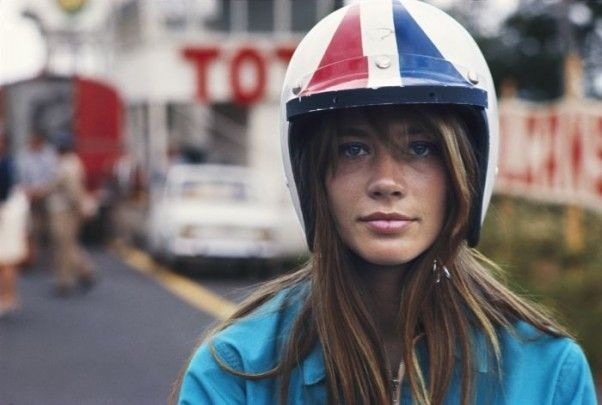 The only other contenders are Mike Hailwood and, perhaps Johnny Cecotto with Hailwood the far better credentialled of the two on four wheels. But what about most versatile on four wheels? Right up until the 1970’s the nature of drivers contracts allowed them to race in other classes, in fact the pro’s needed to race lots of cars to earn the start and prize-money to eke out a living. The likes of Jim Clark could and would jump from Lotus Cortina, to Lotus 30 Sports Car, to Lotus 25 GP car, and then some, in British National Meetings. 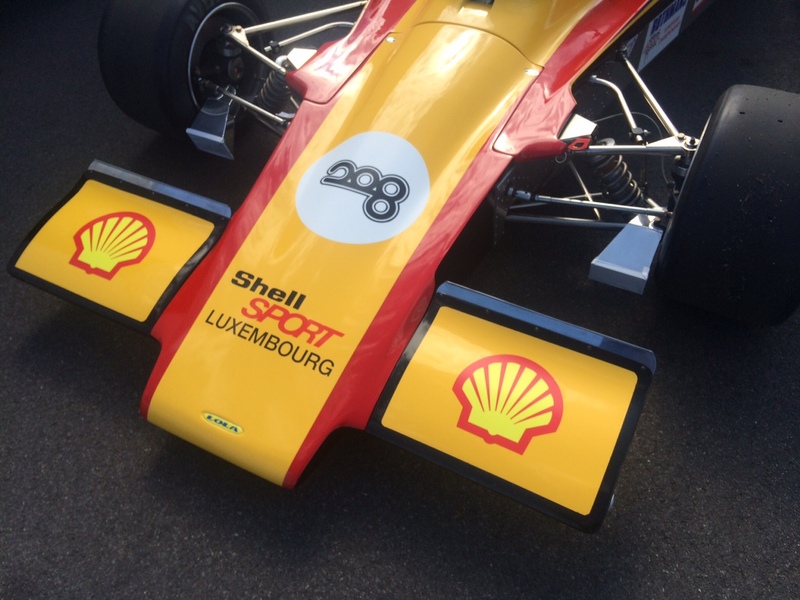 It isn’t necessarily the case that drivers will be equivalently quick in single seaters, sports cars, touring cars, on bitumen and dirt, and road and speedway courses, but that is the criteria to apply in working out our ‘most versatile’. 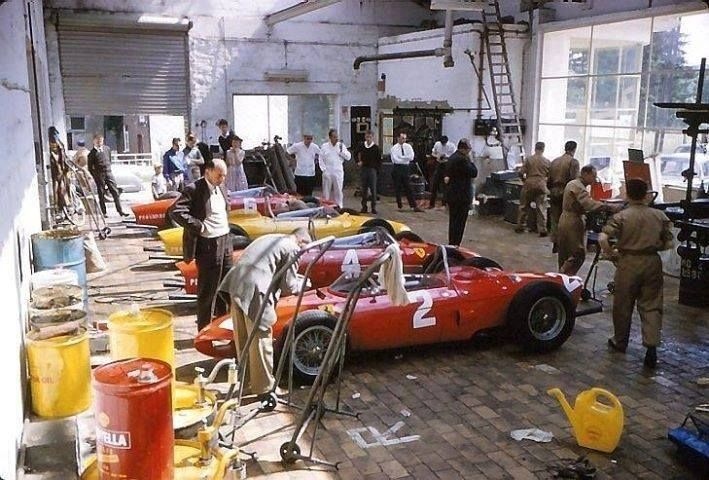 If we limit ourselves to the absolute elite, Grand Prix Winners, there are a few names which usually come up in these conversations; Stirling Moss, Jack Brabham, Graham Hill, John Surtees, Dan Gurney and Mario Andretti to name a few. I am not discounting the Pre-War aces who raced GP and Sports cars on varying surfaces, but suggest the greater variety of cars was available to post-war rather than pre-war drivers. Moss apart from his obvious success in GP and Sports cars, also rallied successfully. Brabhams career started on Sydney Speedways, and then encompassed single seaters of all types, front and mid-engined like most of his peers, some sports cars, and some touring cars. He also raced ‘Champcars’ and CanAm. So Jack has to be ‘up there’ in consideration. 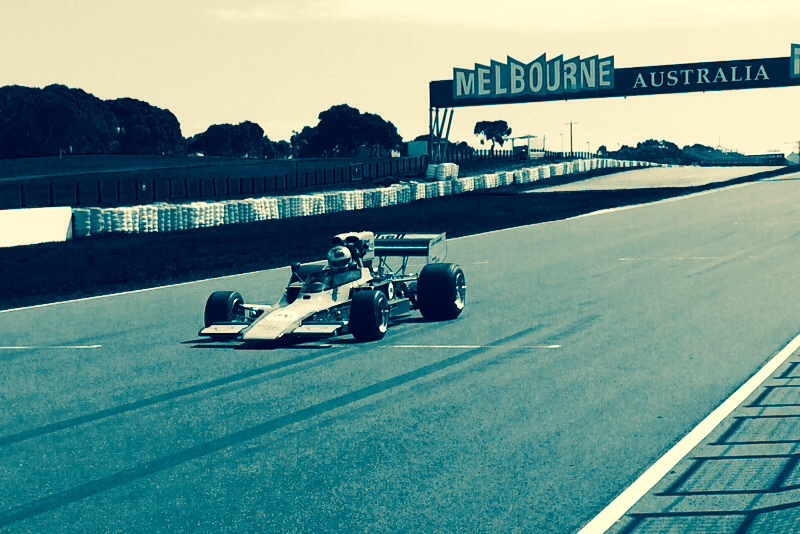 John Surtees is very similarly credentialled to Brabham without the Speedway or equivalent dirt experience. Dan Gurney is also similarly credentialled to Jack, but without the dirt background. 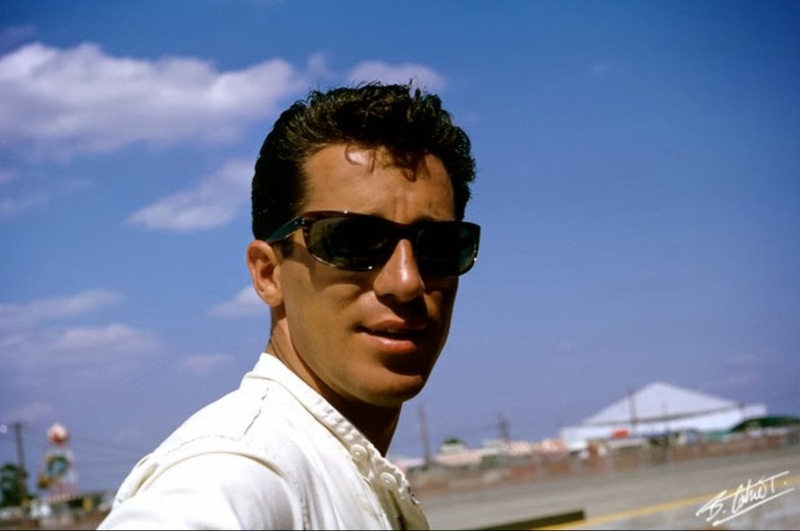 He came from the West Coast Sports Car scene, not through the rough and tumble of Dirt Speedways, and then into Road Racing in the way AJ Foyt, Parnelli Jones and Mario Andretti did. 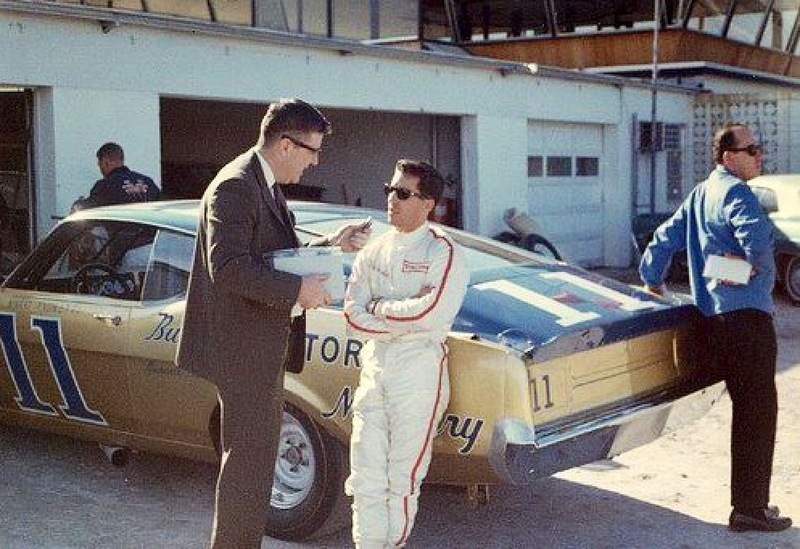 He started in Speedway racing sedans and midgets, then into faster cars, dirt champcars, paved speedway champcars, into Nascar whilst still racing on Dirt Speedways and then as he built his name and reputation into road racing. 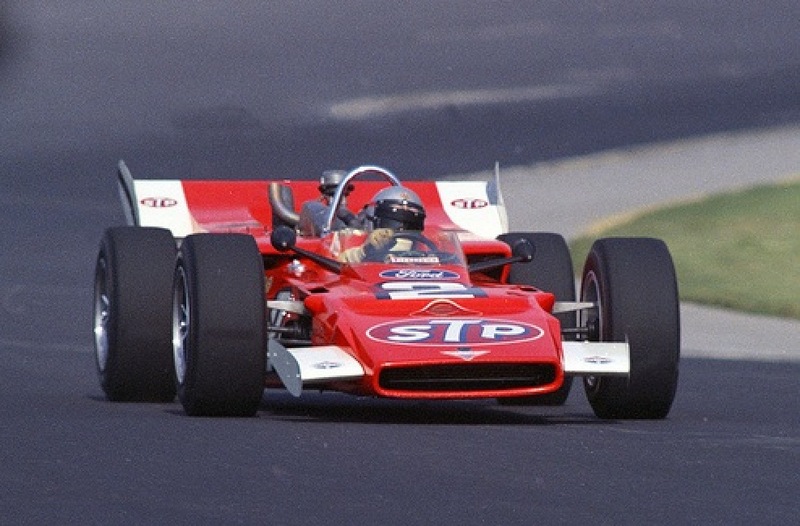 He was scooped up for the factory Ford GT40 program, to Lotus in Grands Prix, and all the rest, but still, well into the 1970’s racing speedway…he walked away from GP racing for a while in the early-70’s as he could not get the driving variety he sought by signing a restrictive F1 contract, ‘Vels Parnelli’, the American team with whom he made his F1 comeback allowing that freedom. In March he did the first of three 1969 Grands’ Prix for Lotus… the South African GP, he also contested the German GP at the Nurburgring and US GP at Watkins Glen later in the year. His first GP was at Watkins Glen, in upstate New York, the year before, 1968, he put his Lotus 49 on pole, really shaking the established order. In 1969 he drove both the conventional Lotus 49 and experimental, four-wheel drive Lotus 63, quite different challenges, the latter a very unsuccessful car. 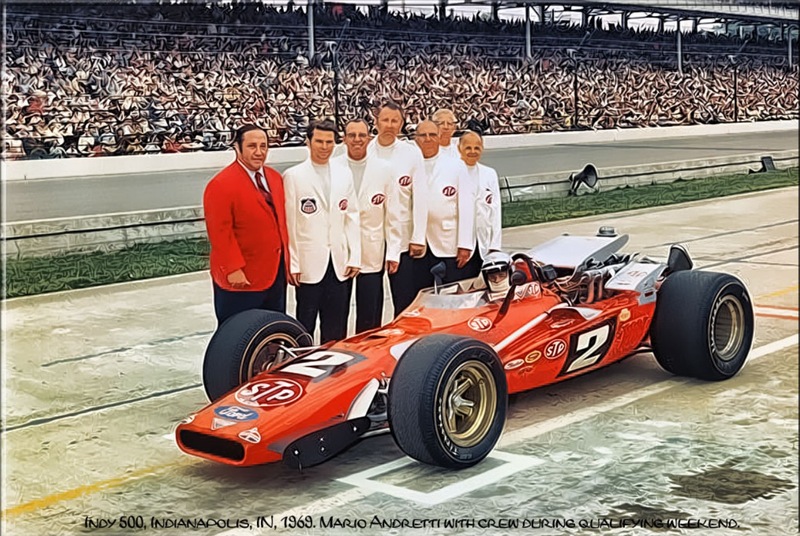 Most of May was spent at Indy, very successfully, winning the 500 in his turbo-charged Brawner Hawk III Ford V8 on the famous Super Speedway. 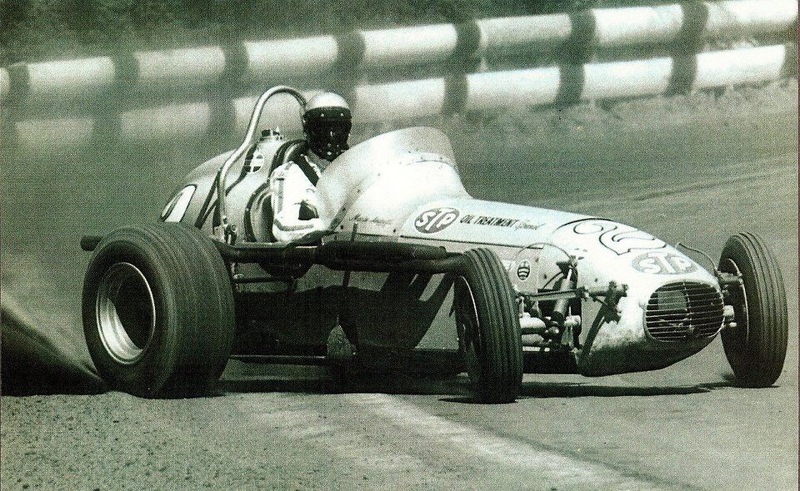 He won the 1969 USAC Championship which was contested on five dirt speedways, ten races on paved tracks, eight on road courses, and a hillclimb, this series alone a true test of a drivers versatility and adaptability. 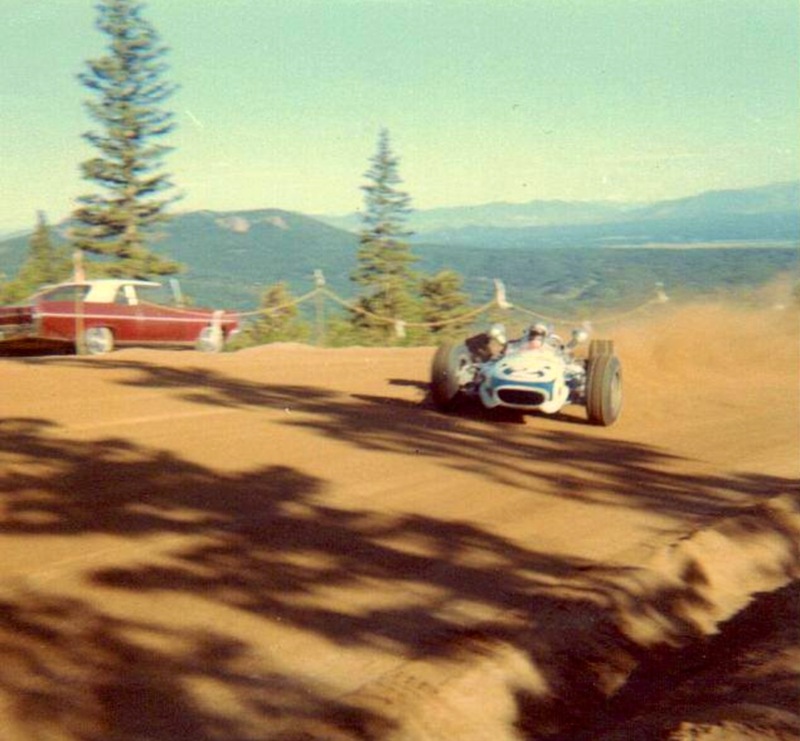 In late June he contested the Pikes Peak Hillclimb…winning it in a mid-engined Chevy V8 powered open-wheeler on the famous dirt course 12.4 mile ‘climb to the clouds’. The CanAm was run annually in the Summer…Holman & Moody entering a Ford 429 powered McLaren M6B in several of the events, not a particulary competitive car but another quite different driving and engineering challenge. 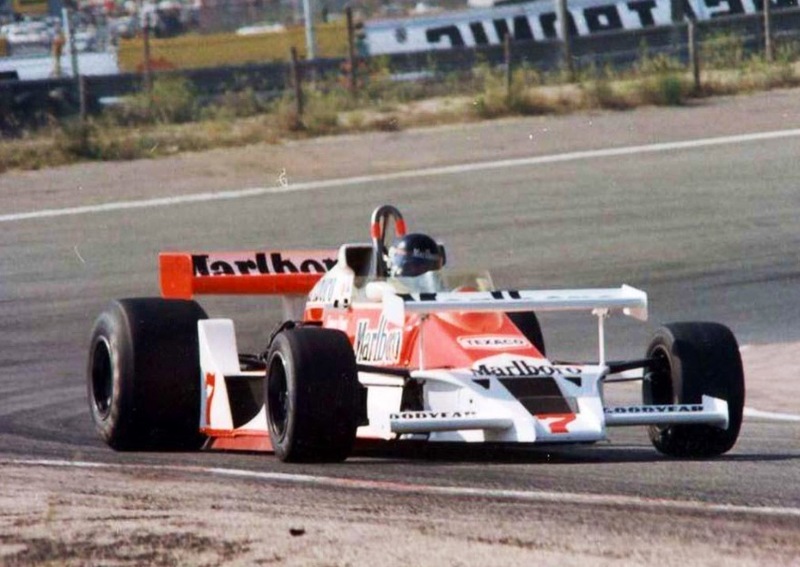 Andretti in a factory McLaren M8B would have been quite someting to watch! 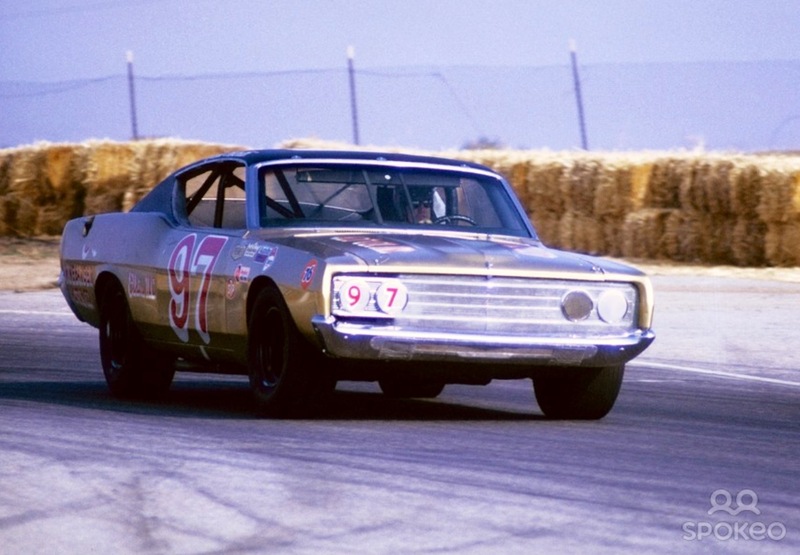 Mario only did one Nascar event in 1969…at Riverside in February, one of the road racing circuits on the tour, it was never a big part of his career but still demonstrates his versatility. 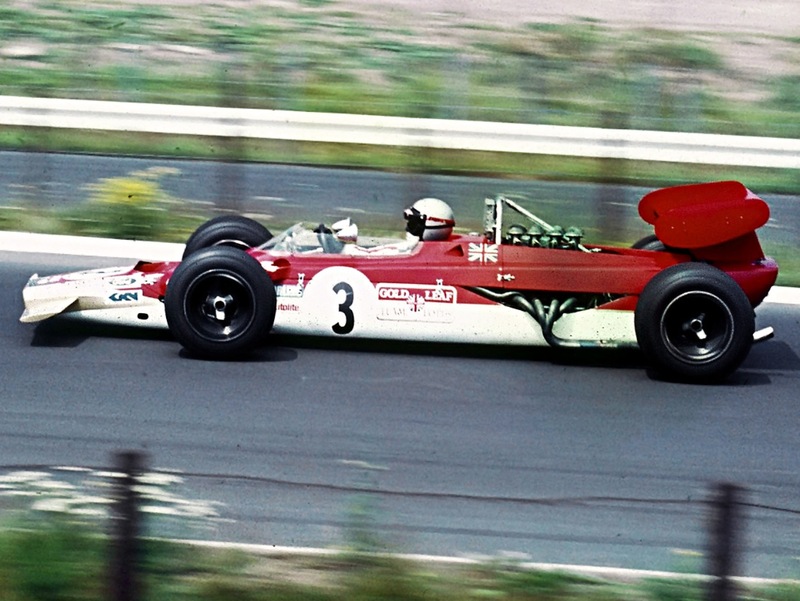 Mario raced on 34 weekends in 1969…his season commenced with a front-engined rear drive Ford Nascar and then a Ferrari mid-engined 3 litre V12 sports prototype…the Lotus’ GP cars he raced were the 3 litre Ford Cosworth normally aspirated V8 powered 2WD 49, and the 4WD 63. His Hawk ‘Indycar’, for paved road-courses and speedways was a mid-engined single-seater, 2WD car powered by a turbo-charged Ford V8, but he also practiced the Lotus 64 mid-engined 4WD Turbo Ford at Indy. His dirt-track ‘Kuzma’ was a front engined, rear drive 4 cylinder Offy powered single seater His McLaren CanAm car a mid-engined sports car powered by a normally aspirated 429CID Ford, finally his Pikes Peak car was a Chev engined ‘Grant King’. The variety of cars and different driving challenges are enormous, the differences in cars and venues in one year of his career qualifies him as our most versatile ever! Let alone the other four decades in which he competed. Andretti won the World Drivers Championship in a Lotus 79 Ford in 1978…he returned to Indycars after leaving F1, his last Indycar win in 1993, perhaps the only big win which eluded him is at Le Mans, but he was successful elswhere in sports cars of course. He is synonymous with speed, and revered globally as a champion driver, sportsman and ambassador for our sport…he is also, surely, the most versatile driver ever? He won the race and the world championship for the first time that year. 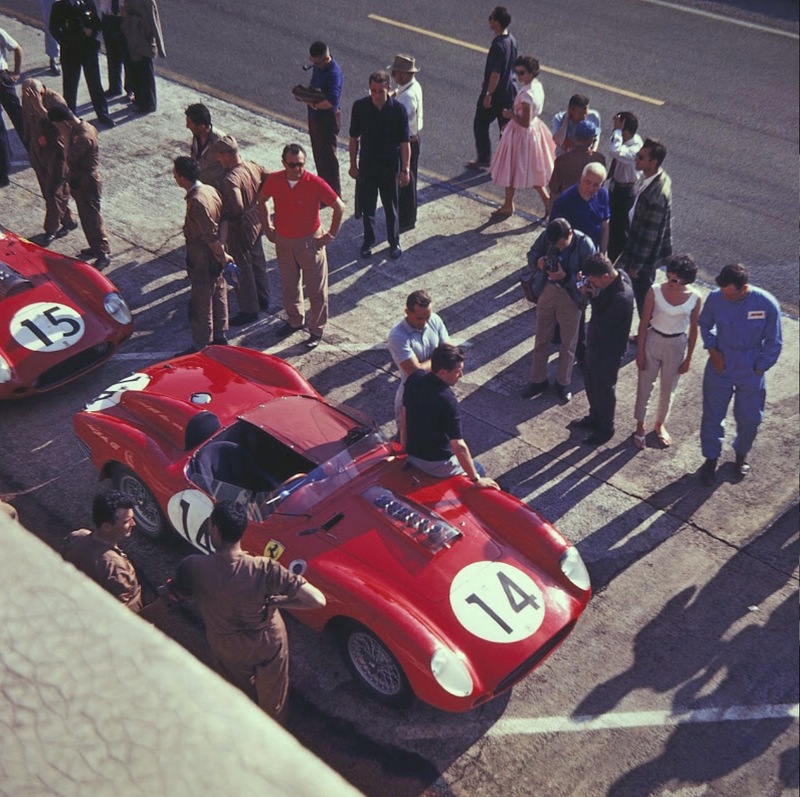 Ferrari turned the corner of uncompetitiveness with the 312B in 1970, the combination of chassis and new ‘flat 12’ engine was very competitive in the second half of the season. 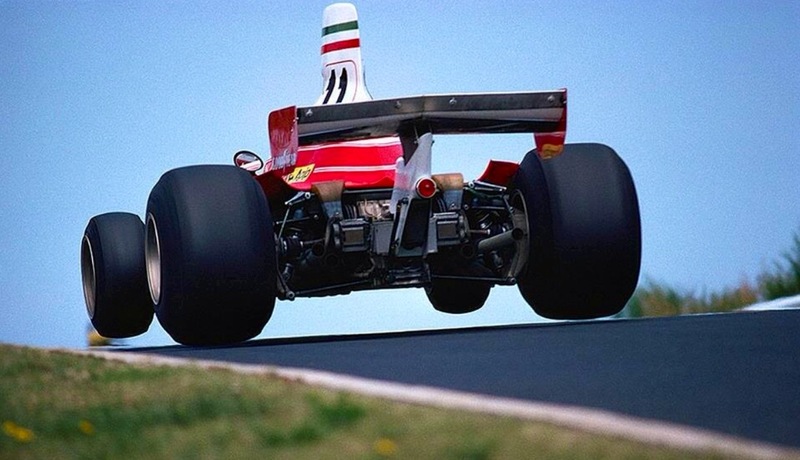 Into 1971-3 they largely lost the plot with their chassis…Mauro Forghieri returned from the wilderness in late 1973. 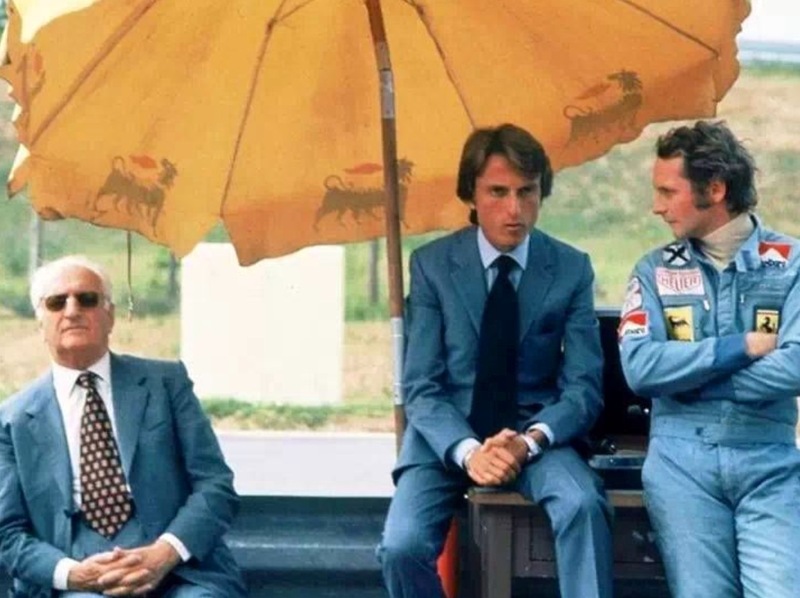 The 1974 combination of Lauda, then in his third year of F1, Ferrari ‘returnee’ Clay Regazzoni, Forghieri and very young Luca Di Montezemolo as Team Manager commenced an era of Ferrari success if not dominance. 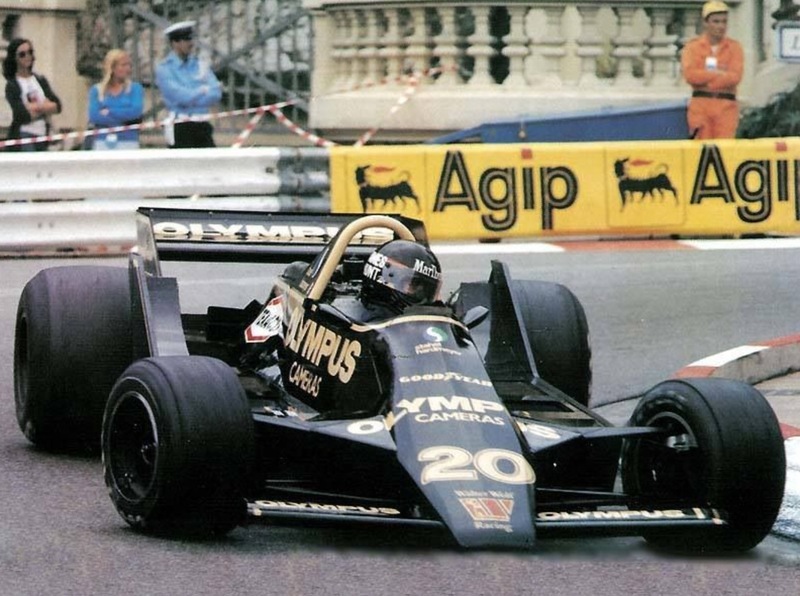 The cars were powerful, relatively light despite the additional fuel load needed by the Flat12 relative to the Ford Cosworth V8, handled superbly and were as aerodynamically advanced as the competition, until the ‘game-changing’ Lotus 78 arrived at least . 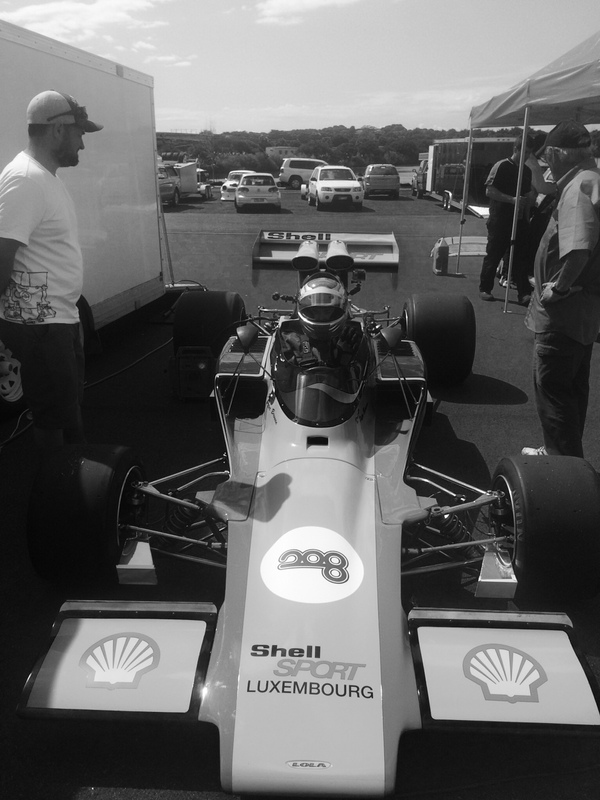 Lauda, Regga, Reutemann, Villeneuve, and Scheckter extracted all the performance as well. The 1975 312T, so called because of the transverse location of the gears within the ‘box was the start of a series of cars which won drivers world titles in 1975, ’77, and ’79 for Lauda twice and Jody Scheckter once. 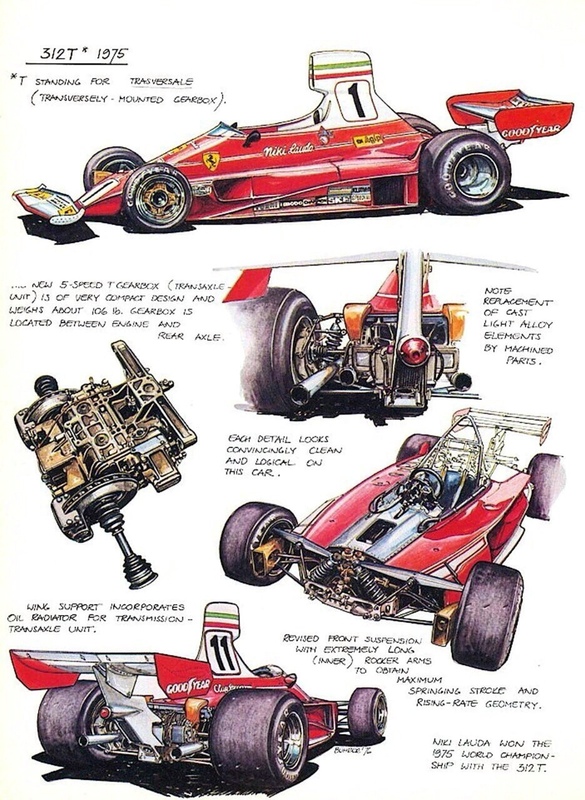 The car was not the prettiest of the mid-70’s to my eye but was an incredibly cohesive, beautifully integrated design. Without doubt one of Ferraris finest. Posted: October 20, 2014 in Touring Cars, Who,What,Where & When...? The race was close fought with Jane winning from Pitt and Burns. 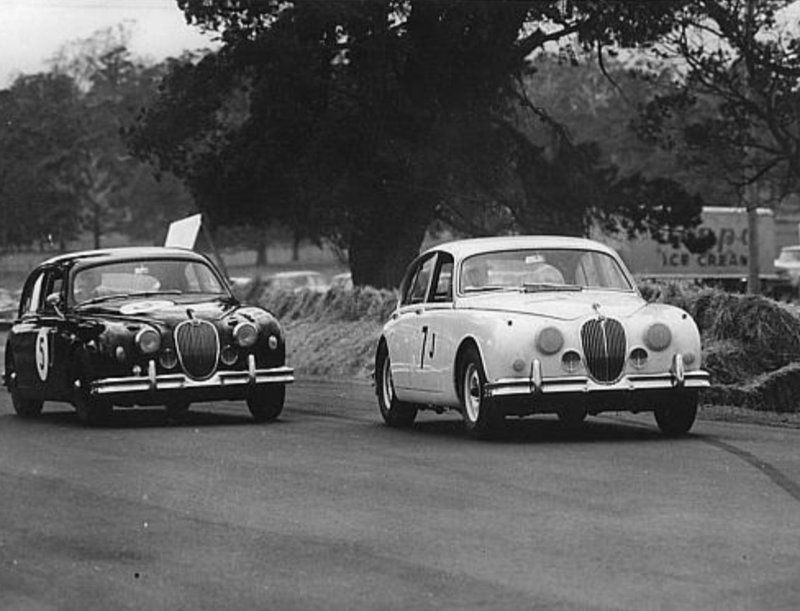 Jaguar dominated the early years of the ATCC, winning the championship in its first four years. 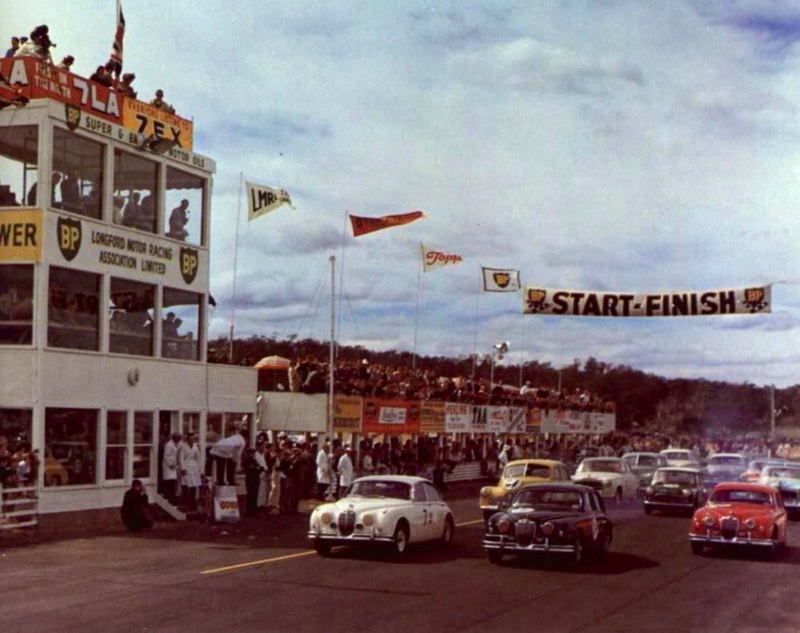 In those far away days the event was decided in one race!, a huge difference to the contemporary ‘V8 Supercars’ title which is decided over fourteen rounds, using three different race formats in Australia and New Zealand. 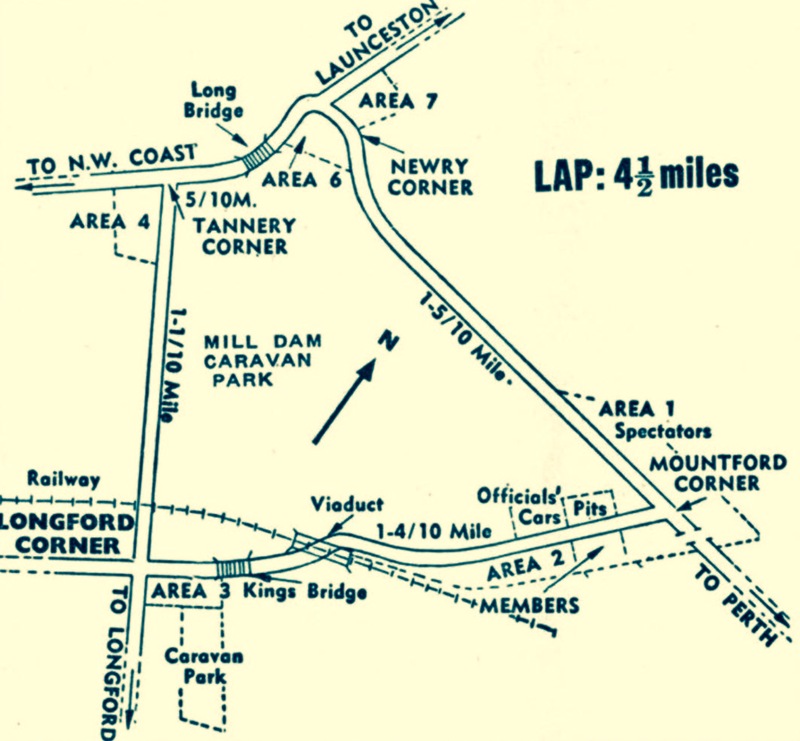 The inaugural championship was held at Gnoo Blas, Orange NSW, with victory going to David McKay’s Mk1, Bill Pitt prevailed at Lowood, Qld in 1961, similarly mounted and Bob Jane at Longford and Mallala, SA Mk2 in 1962/3. 1969 was the first year the title was decided over multiple rounds in five states, ‘Pete’ Geoghegan winning in his famous, second Ford Mustang. Touring cars are not my thing, but these shots well and truly capture the ‘fun of the fair’ and a sense of Longford which is spoken about in reverential terms, if also in awe of its danger and technical difficulty by those lucky enough to have been or raced there. 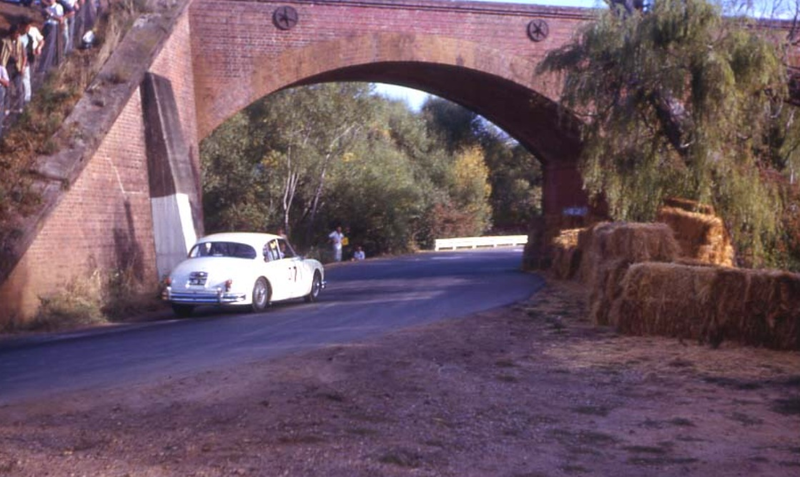 As a postcript, Bill Burns very luckily survived a high speed multiple rollover in those pre-seat belt and rollbar days, two years later, 1964 at the end of the ‘Flying Mile’ just before Mountford Corner. 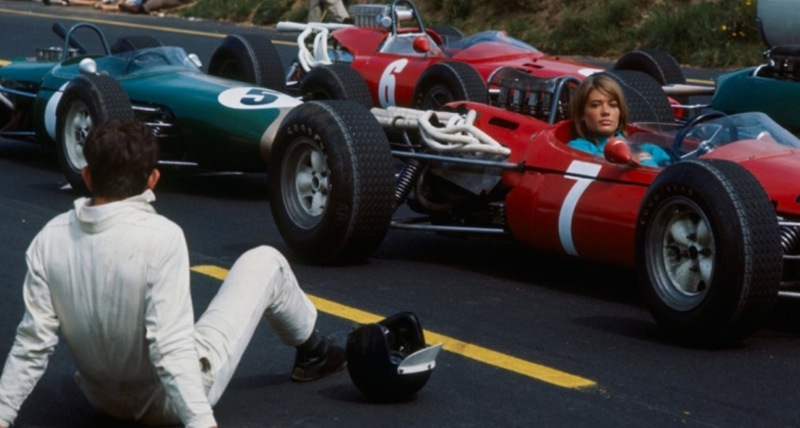 The iconic John Frankenheimer 1966 ‘Grand Prix’ is an evocative racing epic most of us have seen, if you haven’t make sure you do, it captures the Grand Prix cars of the sixties very essence! 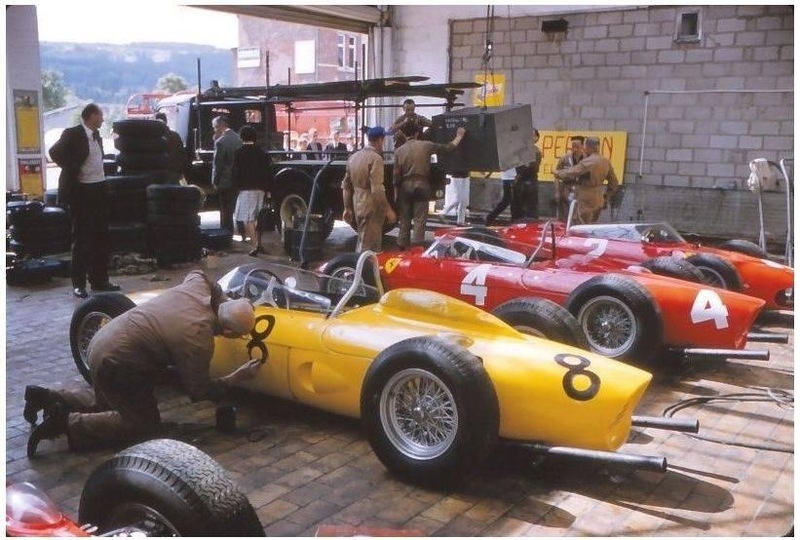 Described by some film purists as ‘a few million dollars worth of star power and a nickels worth of plot’, from a racing point of view its superb, and features cameos of some of the stars of the day including Phil Hill, Graham Hill, Juan Manuel Fangio, Jim Clark, Jack Brabham and Jochen Rindt. 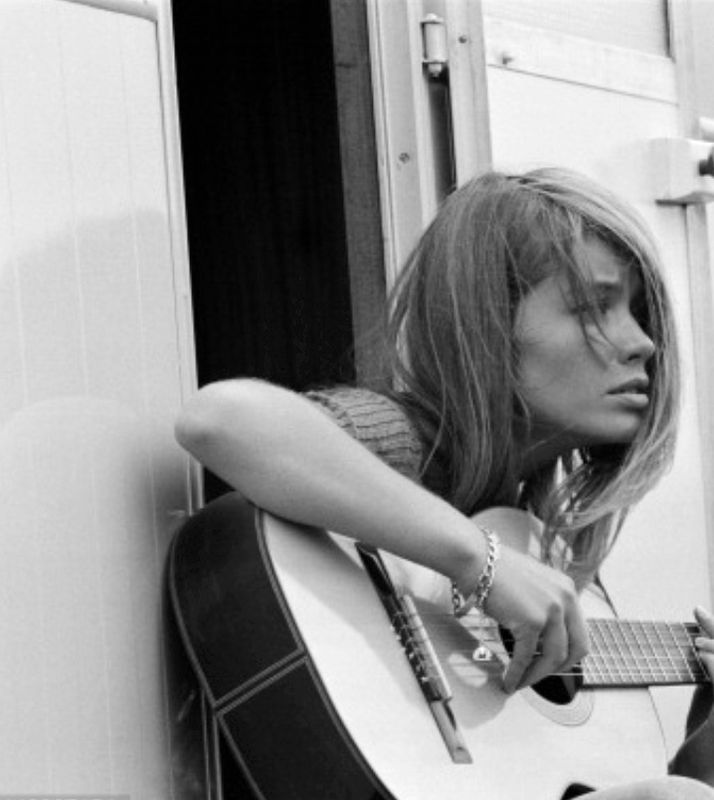 Francoise Hardy plays Lisa, the ‘romantic interest’, in the politesse of the sixties, of Ferrari driver Nino Barlini. 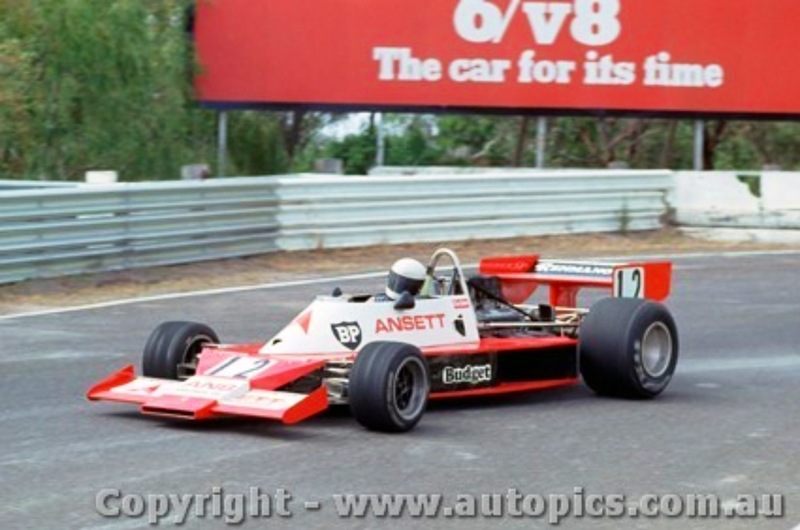 Hunt enjoyed his interlude in Australia, he was frustrated with his McLaren M26 in F1, McLaren having lost their ‘design mojo’, the Colin Chapman/Peter Wright ground effects Lotus 78 and 79 dominating the 1977 and 1978 seasons. 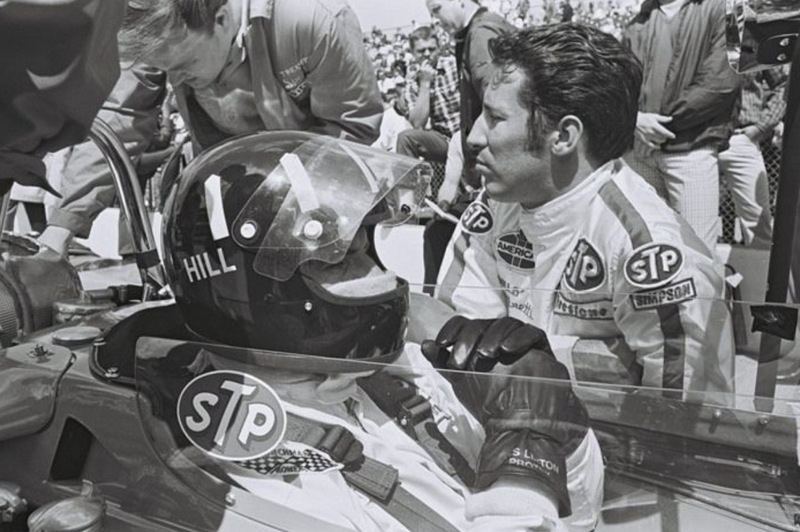 Mario Andretti easily won the World Drivers Championship in 1978, Hunt finished thirteenth, and failed to complete races on nine occasions. James joined Wolf for 1979, optimistic that his old mate and designer from the Hesketh days, Harvey Postlethwaite could ‘produce the good’s, but frustrated with the nature of ground effect cars generally, and the lack of competitiveness of the Wolf WR9 specifically, retired from racing at Monaco. 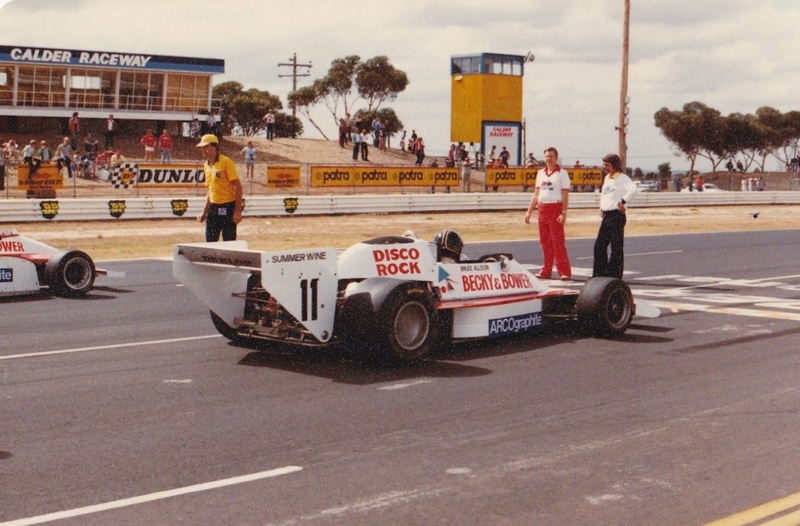 So, we were lucky to see the first recent World Champion in Australia at all, his late 1978 Winton victory, in fact his last race win of any kind! The whole exercise was bizarre really, the Winton event an annual stand alone race outside the ‘Gold Star’ the then prestigious series to decide Australia’s Champion Driver, the Australian National Championship Formula at the time was Formula 5000, for single seaters powered by 500BHP production based V8’s. 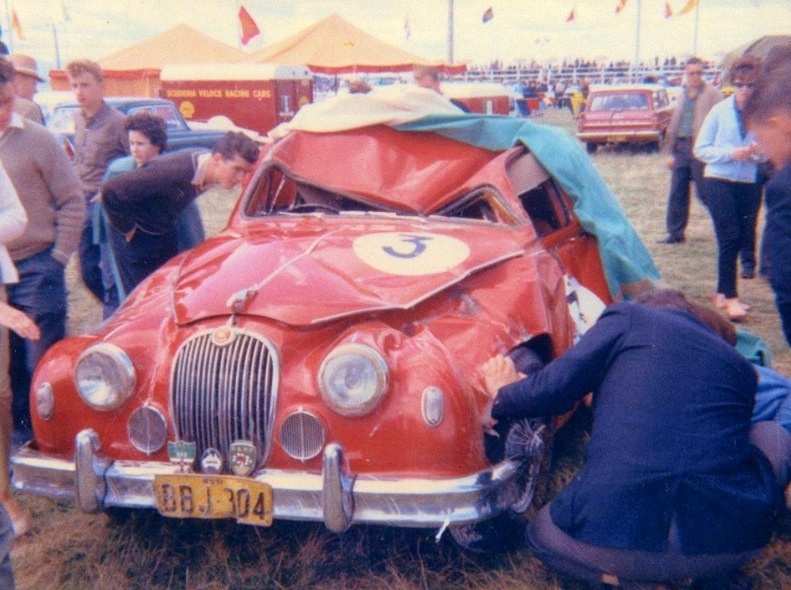 ‘Kenlaw Promotions’ Ken Campbell, together with the Benalla Auto Club, the Winton promoter, secured Hunt for $30000, half paid up front and half after he raced plus expenses, a lot of money at the time. 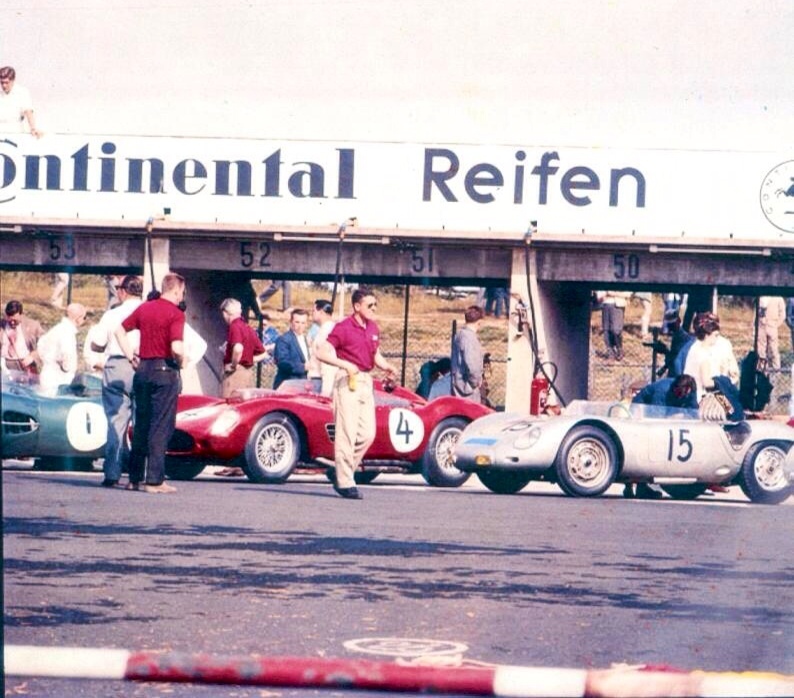 Elfin were to be paid $10000 for supply of the car ‘end to end’, that is prepared and maintained at the circuit. 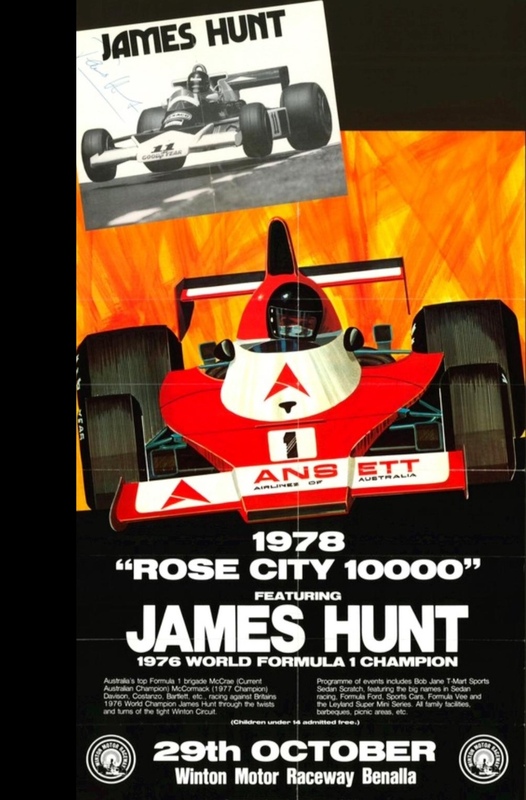 A huge amount of publicity was generated by Hunts presence in Australia, attendances at the circuit on the weekend, of around 15000 people on raceday reflective of interest in both his driving talent and flamboyant tabloid lifestyle. He arrived ‘pissed’ but still handled the media upon arrival with aplomb! Hunts’ entourage included his brother Peter, his McLaren mechanic Ray Grant, and a friend. 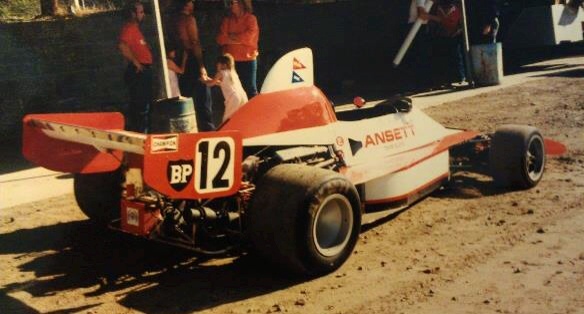 The car was entirely prepared by the Elfin crew, lead by Peter Fowler, based at racer Bryan Thomsons’ workshop in nearby Shepparton…Hunt arrived in Australia after the season ending Canadian GP, no doubt the experience in country Victoria was a reminder of his English Club Racing roots! John Lanyon in the ‘Elfin Bible’ (‘Australia’s Elfin Sports And Racing Cars’ by John Blanden & Barry Catford) outlines in detail how professional and easy Hunt was to deal with, treating the car, team and Garrie Cooper with a great deal of respect..
Elfin were Australia’s foremost manufacturer of racing cars, Garrie Coopers small concern in Edwardstown, South Australia producing well over 250 cars and over 20 different models from the late 1950’s, until the late 1980’s after his death. The company still produces road sports cars. The MR8 incorporated all of the knowledge Cooper accumulated in building ‘big bangers’ ; the 400, ME5, and MS7 V8 Sports Racers and particularly the MR5 and MR6 F5000 cars. Elfin built 4 MR5 Repco Holden engined cars; ‘works cars’ for Cooper and John McCormack and customer cars for Max Stewart and John Walker. The MR6 was bespoke for McCormack, and designed around the light, aluminium Repco Leyland ‘P76′ V8. Consistent and dogged development of McCormacks MR5 and MR6, by both Elfin and McCormacks’ own team based ‘around the corner’ from the Elfin factory, the MR6 once fitted with a Repco Holden engine, produced race and championship winning cars. 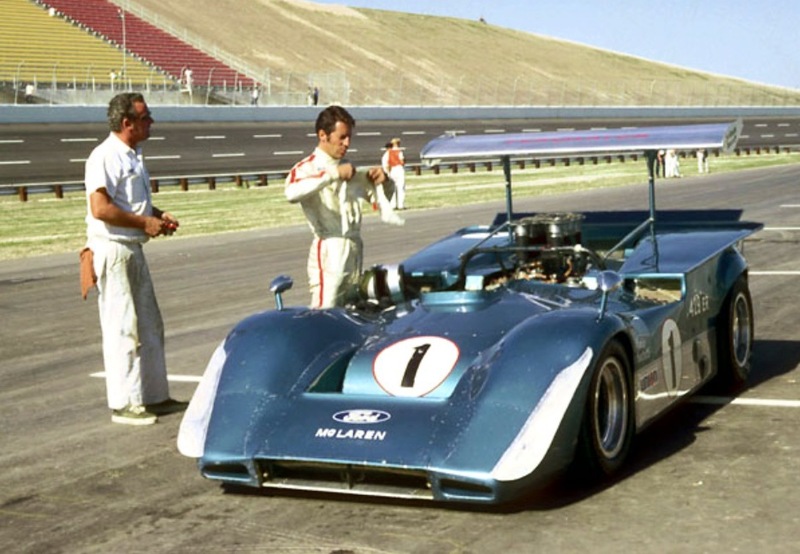 But the bar was raised with the Lola T330/332, so Cooper needed to produce something special for 1976. Garrie considered using Repco Holdens again but Repco had long withdrawn from racing so the cost and ongoing development of the small block Chev made that the sensible choice, his first car powered by an ex-Bob Muir Peter Molloy ‘prepped Chev. The chassis was a conventional aluminium monocoque made of 16 and 18 gauge aluminium, with tubular steel sub frames used front and rear and a roll bar braced fore and aft. Familiar Elfin rear suspension practice was followed with twin radius rods, twin parallel lower links, single top link, and coil spring dampers. 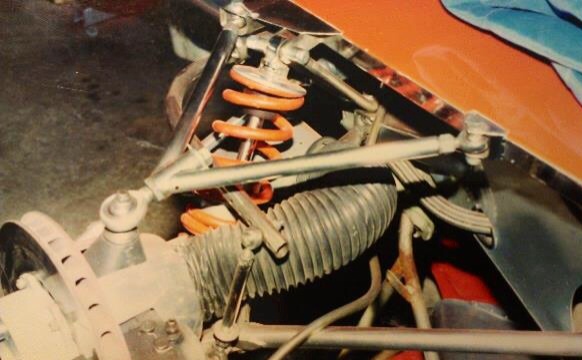 Front suspension was by wishbones top and bottom, again using coil spring damper units, alloy Konis front and rear, and adjustable roll bars front and rear. 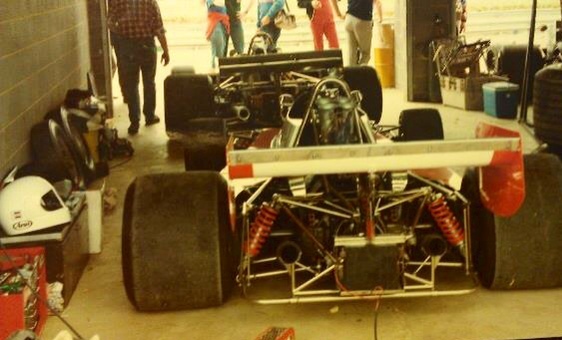 Front and rear track was 1625mm, similar to the T330/2, and the wheelbase 2640mm, 30mm longer than the MR5. 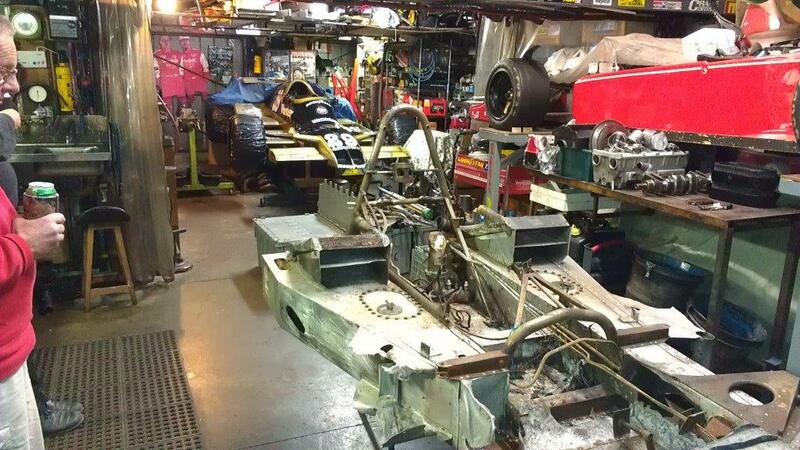 A special Elfin casting replaced the standard Hewland DG300 gearbox item and incorporated mounts for both the rear wing and attachment points for the rear suspension subframe. Brakes were Lockheed and steering Elfins own rack & pinion. The aerodynamics of the great looking car were a departure from the full-width ‘Tyrrell Nose’ of the MR5/6 to the chisel nose setup Cooper had experimented with on his MR5B. Garrie Cooper also raced the cars, his unique contribution as designer/builder/driver critical in keeping the cars competitive throughout this long period. Hunts car was the Reg Orr owned MR8B Chev, chassis # 8783, the last of the MR8’s built. On the Wednesday and Thursday prior to the meeting the car was adjusted to suit Hunt; seat, pedals, steering, gear shift and a small lever added to the belts to aid exit. He covered six laps on Thursday but the circuit was dirty and wet Friday, so Hunts first serious drive of the car was on Saturday. Hunt told the local media the Elfin was ‘ A lot better than the Eagle I drove. 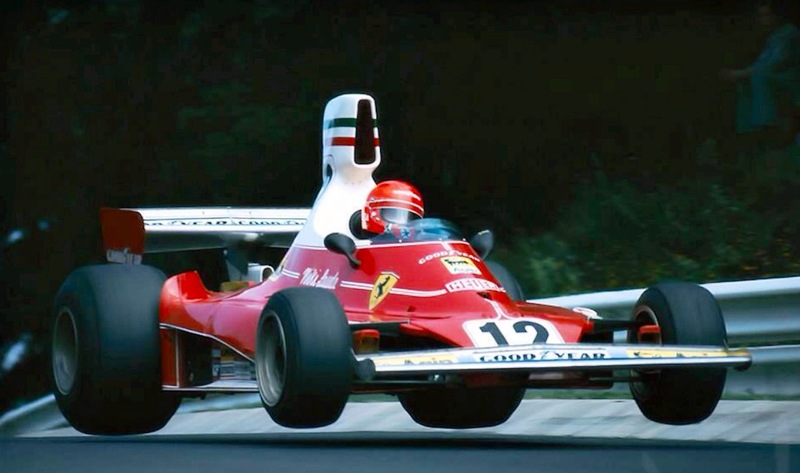 (He raced an eagle for Dan Gurney in 1974) It seems a good car, it is very forgiving and drives a lot easier. It’s good to have a competitive car for a change. It’s a nice feeling!’ referring to his hapless 1978 season. 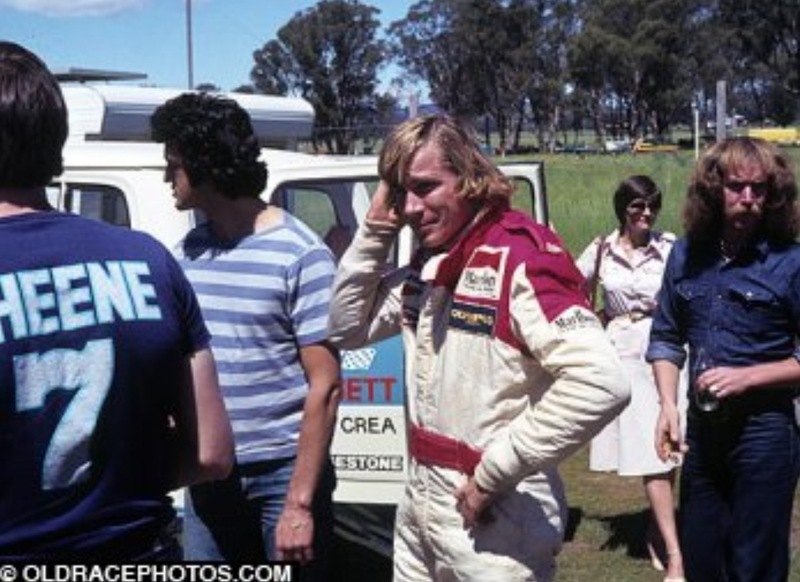 Whilst Hunt was paid, the race was a financial disaster for the Benalla Auto Club and Elfin who were only paid $1000 of the $10000 contracted…still, Barry Catford observed in his book that the win was the fillip the team needed for 1979 after a tough season including Garrie Coopers horrible, but lucky escape from the accident caused by his wing mount failure at Sandown shortly before Hunts’ visit. Its interesting to speculate about how good the MR8 was in relation to its ‘competitor set’ ; the Lola T332 (first model 1974), Lola T400 (1975), Chevron B37 (1976) , Lola T430(1976), Matich A53 (1974) etc. 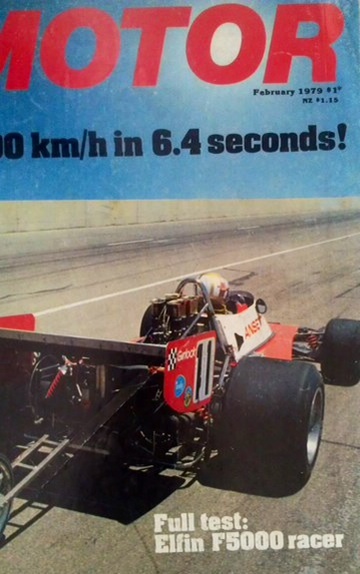 Two drivers raced the Elfin and other F5000’s, Vern Schuppan and Bruce Allison. There are various quotes in the ‘Elfin Bible’ of Schuppan comparing the MR8 favourably with the Lola T332 but later in life he seems to have changed his view. Despite buying an MR8 to use as a Single-Seater Can Am car, having raced both the Lola T332 and MR8, Schuppan rated the Lola T332 the better car, which begs the question, why buy the Elfin if you thought the Lola the better car? 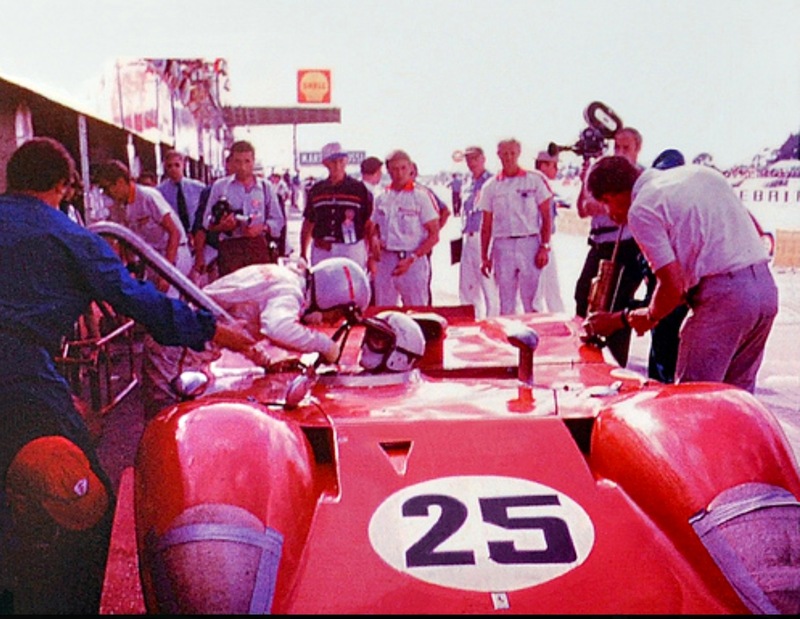 In any event Vern observes’…The Lola T332 was certainly significantly better than the Elfin MR8, Gurneys Eagle, the Trojan T101 0r the Chevron B28’s. 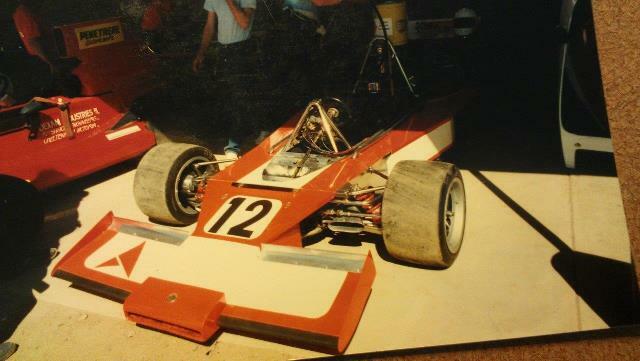 The Chevron I raced was quite tired and also a bit flexible but not in a good way’ Schuppan wrote in Wolfgang Klopfers book, ‘Formula 5000 in NZ & Australia Race by Race’. 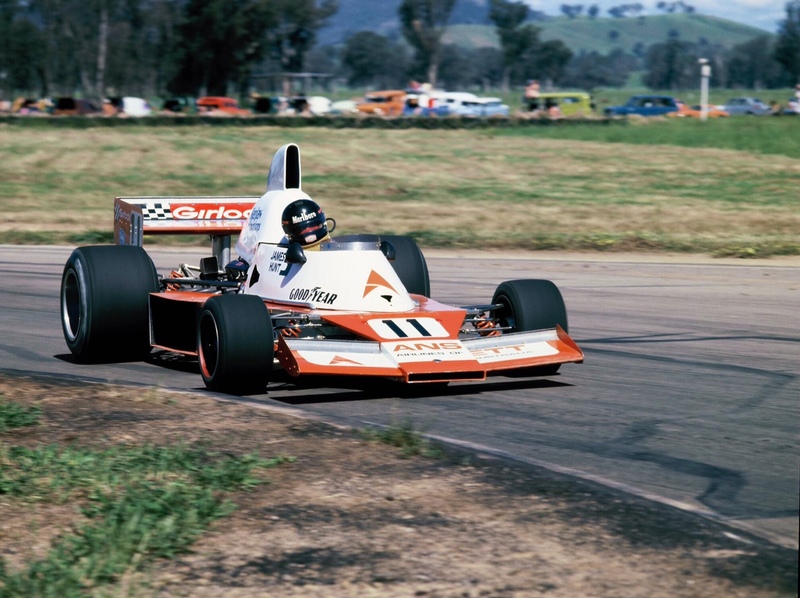 Bruce Allison’s F5000 CV started with his ex-Bartlett T332 straight out of an ANF2 Birrana 274, he took to the 5 litre cars like a ‘duck to water’ and instantly became the ‘enfant terrible’ of the F5000 grid in Australia in 1975, guided, prepared and advised by the great Peter Molloy, as Warwick Brown and Niel Allen had been before him. 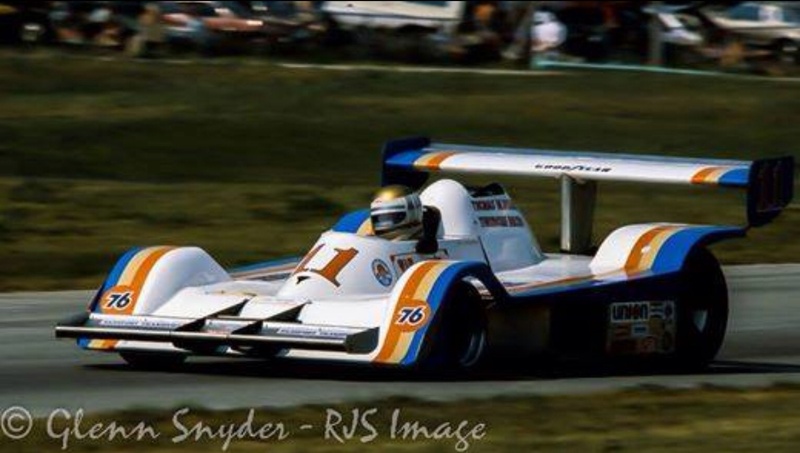 Bruce raced the ex-VDS Chevron B37 in both the UK, winning the prestigious Grovewood Award in 1977, and in Australia. 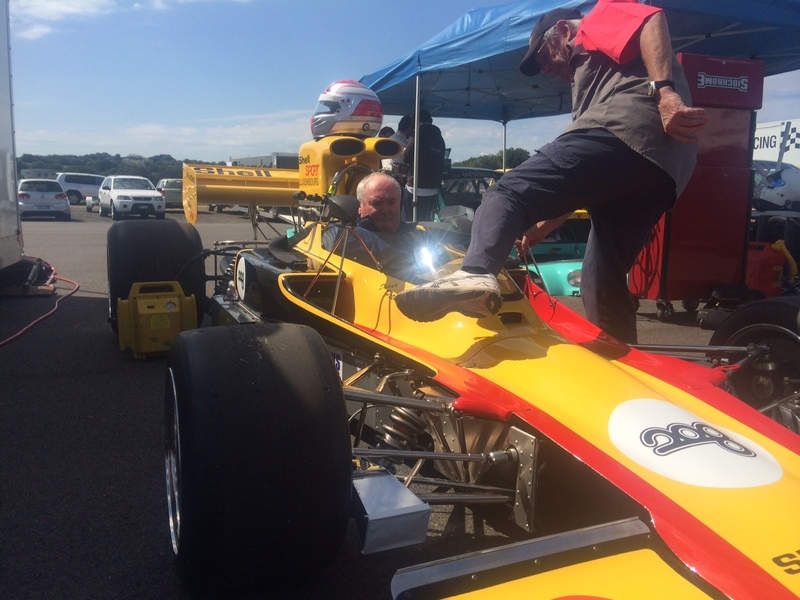 He raced an F5000 March for Theodore Racing as teammate to Alan Jones, and also the MR8, once, after he had retired for the first time! Bruce was generous with his time and anecdotes but I’ll save those for an article on the one off, gorgeous Chevron B37 itself. Peter Brennan has raced and restored an Elfin MR5, MR8, Matich A50, and recently the Lola T330 we have covered in ‘Racers Retreat’. I asked him about the construction of the MR8 relative to the other cars…’The tub on the MR8 is much stronger than the T330/332. It has a good forward roll-hoop, the Lola got that only when it was mandated. The Lola is weak from the drivers knees forward’. ‘The T330 was light, mine is 620Kg, my MR8 was 684 Kg, the T332 will be closer to the MR8 in weight with its deformable side structures, oil lines forward, bigger radiators and heavier bodywork, which in some cars is all-enveloping’. 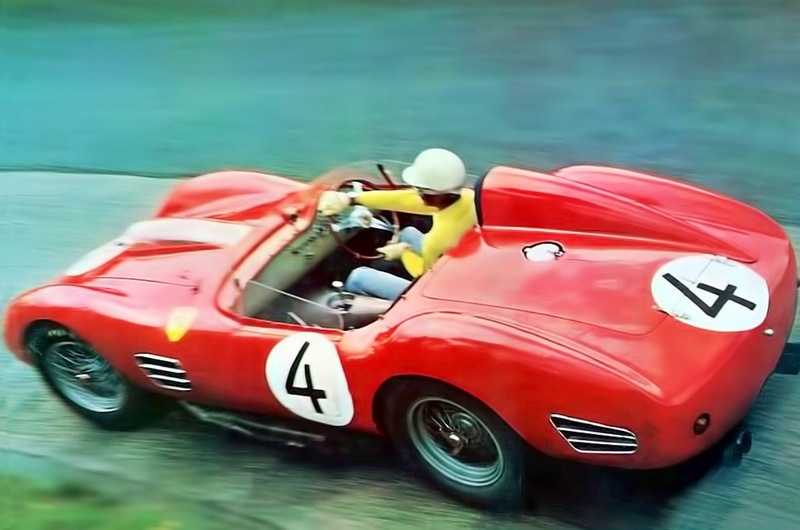 ‘The Lola was much better built than the Elfin in the driveline, spindles, uprights, radius rods etc’. 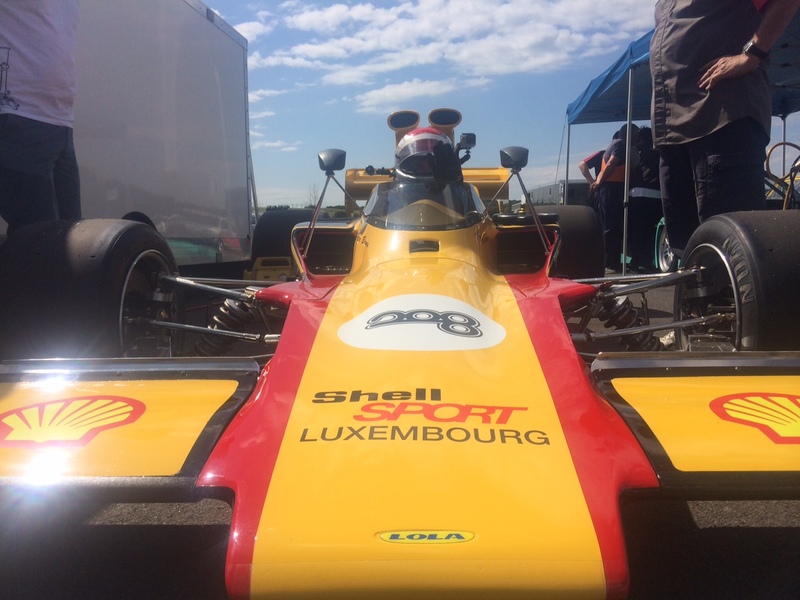 Race-winner though the MR8 was, their is little doubt, no revelation here!, that the Lola T330/332 was the F5000 of the era, the greatest F5000 car ever, as well as one of the most successful single-seaters of any class in any era of racing history. 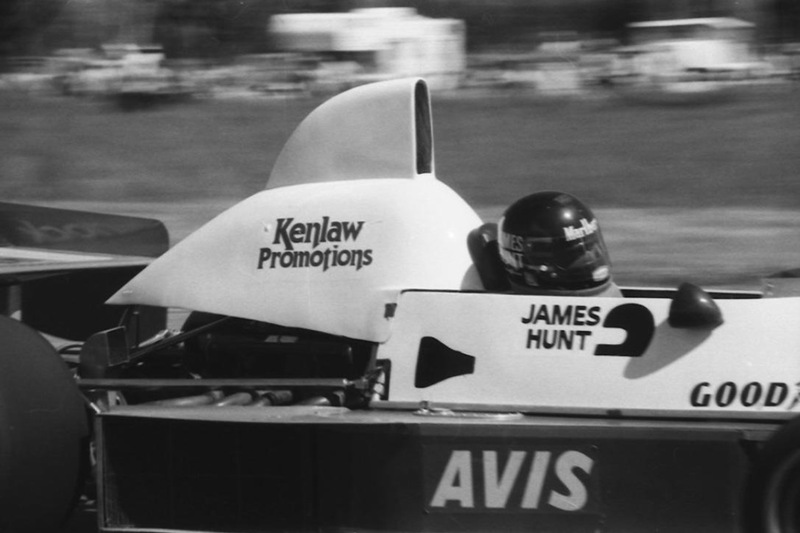 Hunt started 1979 with plenty of optimism and hope but ground effects was a ‘black-art’, designers and engineers learning what aerodynamic shapes of sidepod worked and coping with the sorts of loads the aluminium monocoques of the day struggled with. Postlethwaites Wolf WR9 was unsuccessful. James ‘pulled the pin’ on a short but stellar GP career in Monaco, opening the door to Keke Rosbergs’ first ‘good drive’, one door closes and another opens…In Hunts case his wonderful partnership with Murray Walker as broadcasters of the BBC GP coverage commenced. Few of us will forget the Hunt magic and charisma on display at Wonderful Winton all those years ago, and yes, by all accounts the Hunt Touring Group partied hard at the end of the meeting! Frank Matich and his cars.